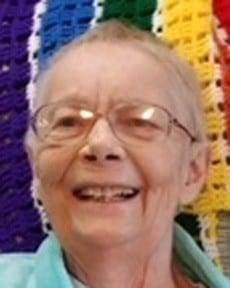 Ina L. Young, 77, of Montpelier, passed away on Monday, October 8, 2018 at Defiance Area Inpatient Hospice Center in Defiance. She was born on July 2, 1941 in Bryan to Howard F. and Mildred E. (Long) Lorntz. Ina graduated from Bryan High School in 1958. In 1999 she retired after 23 years of service as a bookkeeper for H.R.H. Industries. Ina was a member of St. Paul’s United Methodist Church in Montpelier. She enjoyed spending time with her grandsons, family and friends. Ina will be laid to rest at Thursday at 9am Shiffler Cemetery in Bryan. A time to receive friends will be held on Thursday, October 11, 2018 from 10am to 11am at St. Paul’s United Methodist Church in Montpelier. A memorial service will take place on Thursday at 11am at the church with Pastor Richard Blank to officiate. Memorial contributions may be given to St. Paul’s United Methodist Church, Defiance Area Inpatient Hospice, the Williams County Senior Center or the Williams County Humane Society. Be the first to comment on "Ina Young (1941-2018)"